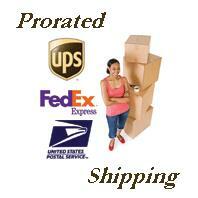 This category contains items that we've received on consignment. This means that we don't set the price ourselves, the original owner does. All items can be purchased at the asking price and added to any order. Items marked with "Make Reasonable Offer" will allow you to place a bid. The bid will then be forwarded to the original owner and you will be notified if it will be accepted or not. Here is your chance to acquire long out of production inventory that we normally don't carry.